Simple Maple Glaze - Fork and Good. So, I have never traveled with my husband. We've always been saving for something else (houses, weddings, house modifications.) We've been on holidays, sure, toured the UK and had weekends away - but we've never seen the things we always wanted to see, we've only been abroad together twice. One of those times was Disneyland, which whilst awesome, is hardly an exploration of the world. What the hell does this have to do with a glaze? Don't you know that there's a story behind most food bloggers recipes? It's kind of our thing. That's what this year is all about. We celebrated our year anniversary at the beginning of this month, and after walking, taking in a show, we sat in a hotel room and mapped out places to see, and how to logically visit all of them. 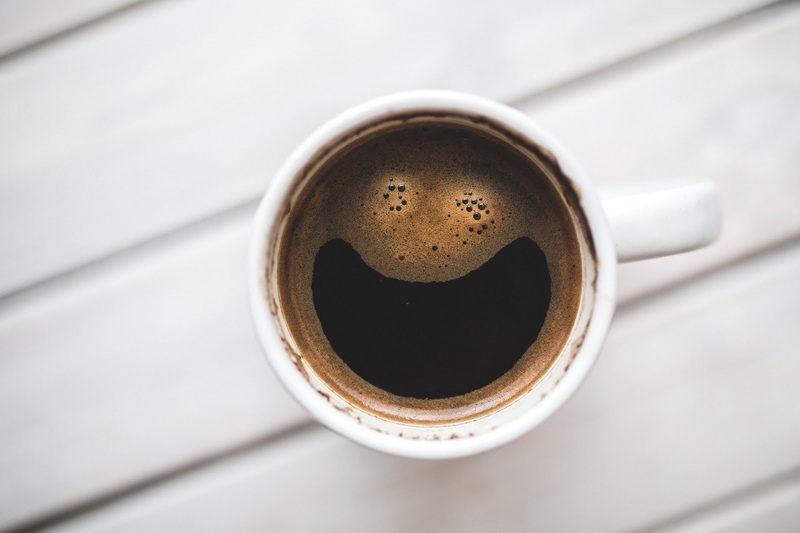 These plans are doable thanks to the wonderful help of some brilliant travel bloggers, but it does mean that our food budget has been DRASTICALLY cut. It's hard to run a food blog when you're trying out food budgeting. 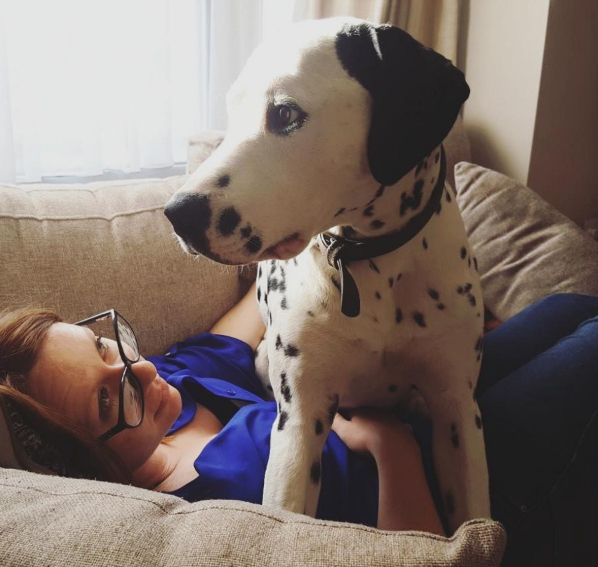 We followed brilliant advice (seriously, blogs are amazing sources of information) and managed to cut our monthly food bill down by over £200. That topped off with some seriously easy money management (blog advice again) we have done it, and are continuing to do it. We have started booking our travels. So what's on the menu, when you're budgeting? Crap? Rubbish? TADA. WE GOT TO THE BLOODY GLAZE. 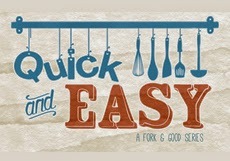 You know where some of the best advice for budget cooking comes from? Old cookbooks. Wartime cookbooks are also amazing (I found some really cheap on eBay, and my nan gave me a few as well.) They are also great for advice on making the most of what you buy. Glazes and sauces take up quite a lot of the old cookbooks I own, I'm guessing because they are cheap and easy and can cover up cheap cuts of meat or boring vegetables. I might be on a budget, but I'm not looking to eat cardboard or fill my body with crap. So how do we do all that?! I'll get to all that at a later post, but at the moment, I'm going to stick to this glaze. A jar of glaze in the supermarket (Decent quality, and not full of crap) can set you back £2.00 - I once purchased one for a fiver. Obviously, in the pictures, I've glazed a pork joint, but the uses are endless. 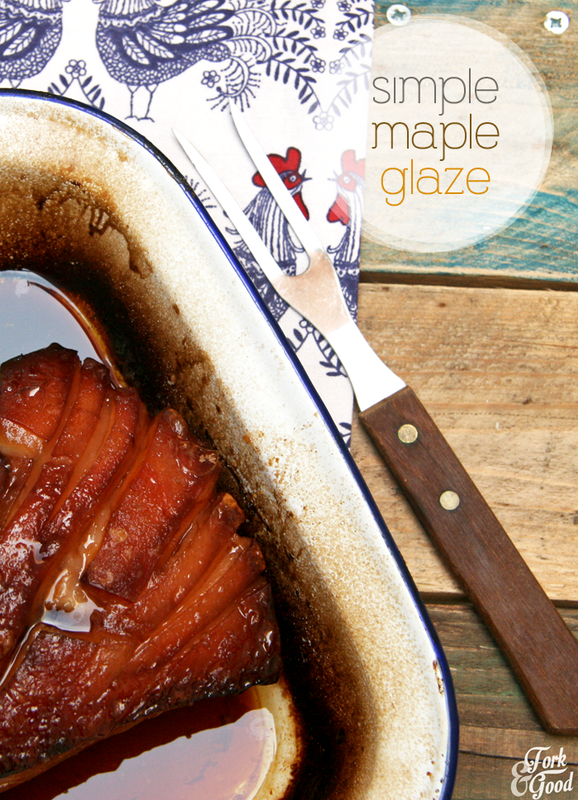 It really is a simple Maple glaze... a simaple glaze, if you will. This will make about 1/2 cups worth of glaze, how much that covers is up to you. As a rule, it covers a whole pork joint. Whisk all the ingredients together in a bowl. That's it. Prep done. Apply the glaze 30 minutes before the end of your cooking time. For chicken thighs / wings, it's better to marinade in the glaze and then put it in the oven for the entirety of the cooking time. As you wish. You'll only need a brushing of it for things like vegetables or nuts, so the cooking time will be less. Marinade = 30 minutes, be careful to watch for burning. Gosh..I need to try the this glaze. Do you think tofu will taste good with it? Have been thinking to make some honey-chilli glazed tofu for a spring salad, but now I want to try it with this glaze. 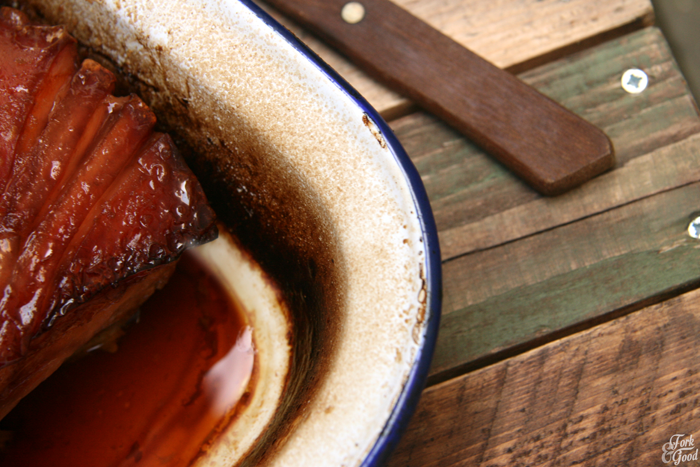 Your glazed pork belly looks droolworthy, Emma. Damn girl how did you do all this??! The new design is awesome and you totally beat me! I have been thinking and talking about redesigning and haven't- AFTER BEER MONTH and then I am allllll over it! Did you code this all in?? If so you are my hero and AMAZING and I am just like wow!! Ohhhh and also this glaze looks great too! Congrats on the redesign and having it up and running with no issues! KUDOS! That glaze looks so savory on the pork. 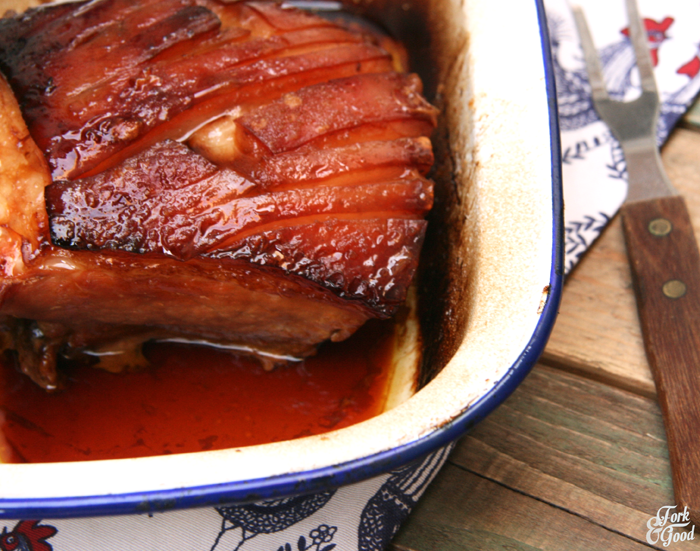 I'm always looking for a ham glaze, and like you, I have these ingredients in my pantry! Thanks for the recipe...just in time for Easter! Looks and sounds so good, especially as it was technically free. I normally cut down on meat if I'm budgeting meals, I find that the easiest way. I love this glaze and I love that you two are traveling together! My husband and I have done some traveling, but not a huge trip yet like out of the country or a really long excursion. We have been wanting to visit Costa Rica for some time now. I also really like budget recipes. We've been trying to cut our own food spending down as well so I'm always looking for tips and ideas!